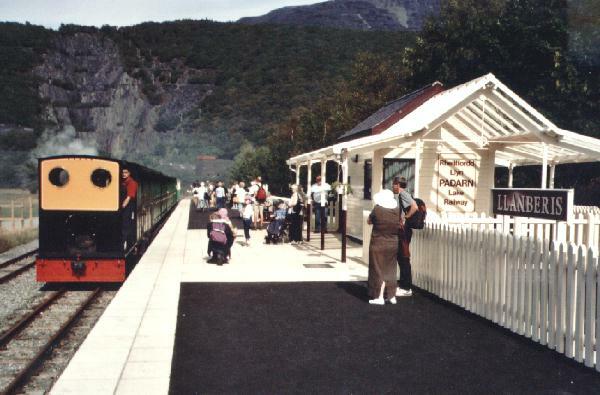 than Gilfach Ddu station which had been the terminus until June 2003.
only per trip, at Gifach Ddu station, just prior to departure for Llanberis - hence the thick "clag" here. 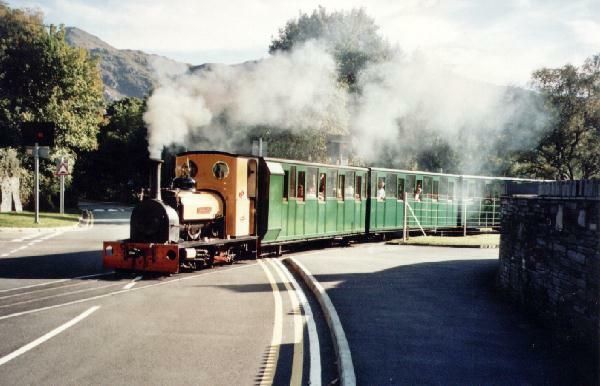 Awaiting departure from Llanberis station. 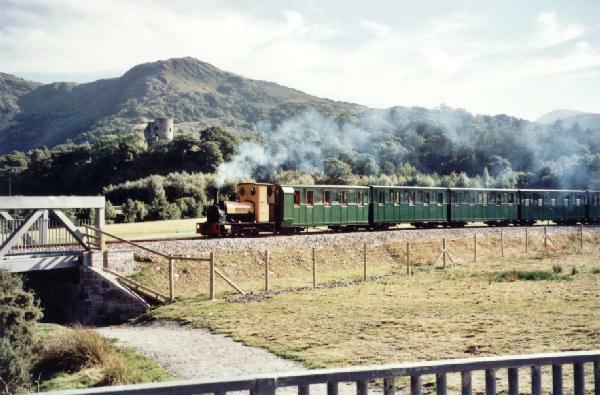 "Dolbadarn" about to cross impressive Afon y Bala Bridge. 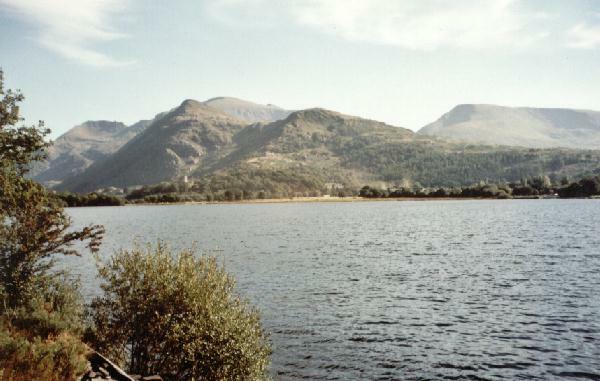 Dolbadarn Castle in background. 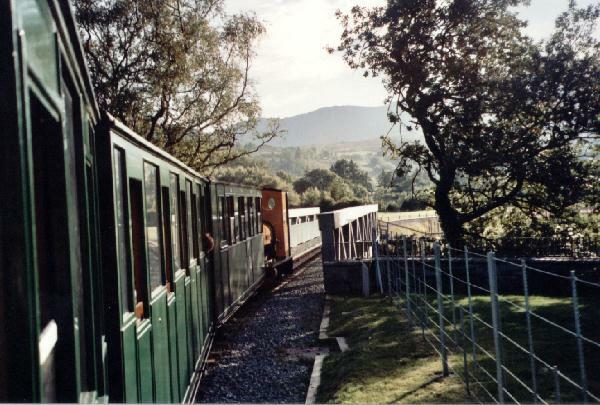 An open road crossing just prior to Gilfach Ddu station. where it waits 5-10 mins whilst passengers get a chance to stretch their legs. 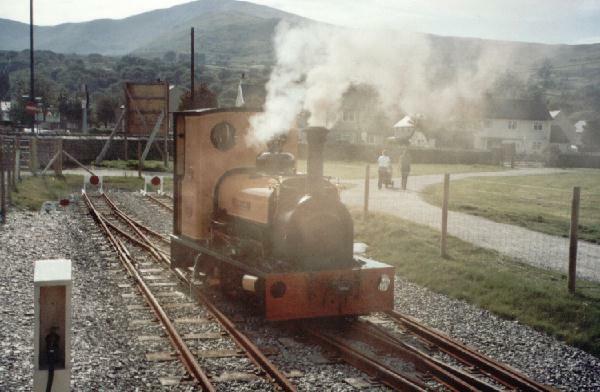 Leaving Gilfach Ddu station on return to Llanberis, note smoke! 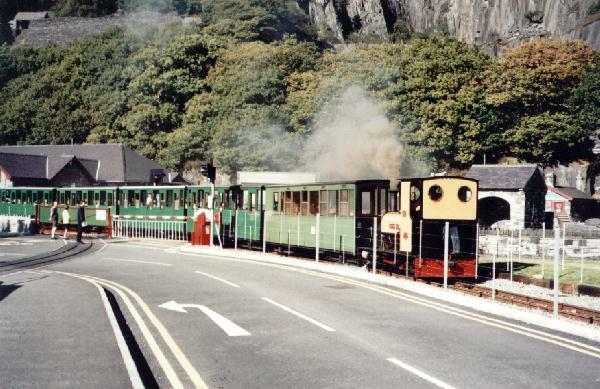 Across the bridge towards Llanberis terminus. 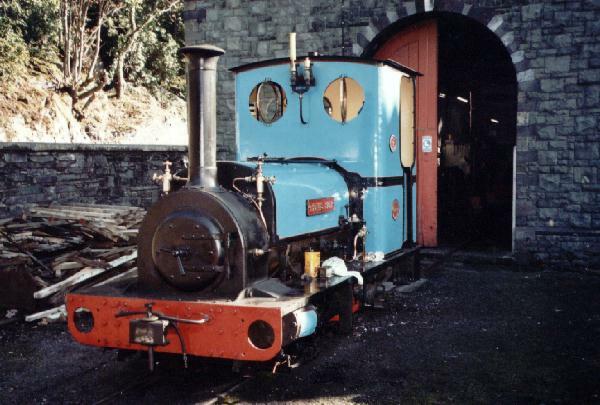 "Thomas Bach" stands outside the works. 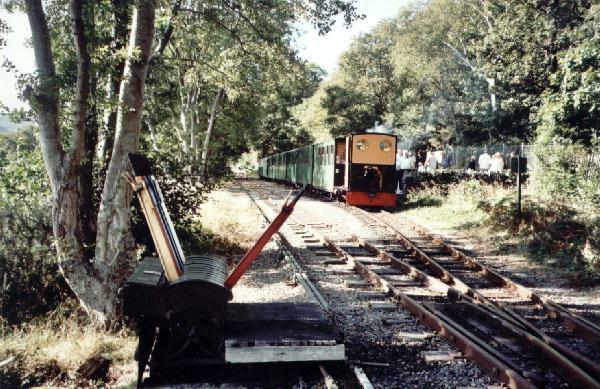 A third ex-Dinorwig quarry loco could be glimpsed inside. Beautiful view of Llyn Padarn from the train which offers unrivalled views. 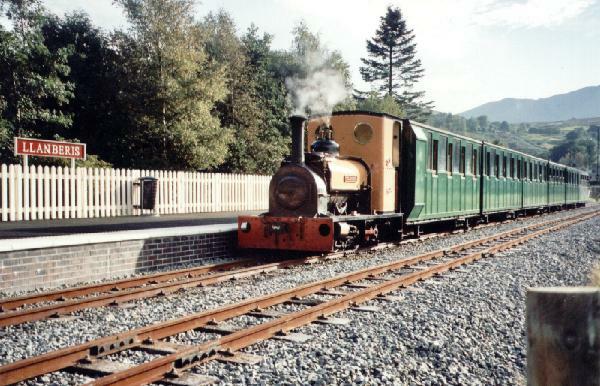 Visit the railways own website - then use your browsers BACK button to return here!